POSEIDON’S BOUNTY SERIES CHAPTER I; A beginner’s guide to fish on the barbie! This post is intended to provide general guidelines and tools to cooking your favourite fish on the barbie. The captions in this post are simple suggestions for basic grilling techniques. Be sure to keep an eye out for further instalments in the POSEIDON’S BOUNTY SERIES for fish and seafood recipes tailored to the grill! In recent years we’ve come to realize that a diet rich in fish is very beneficial to our health. In this post we will explore several varieties of fish from small to large and what properties different types of fish possess. 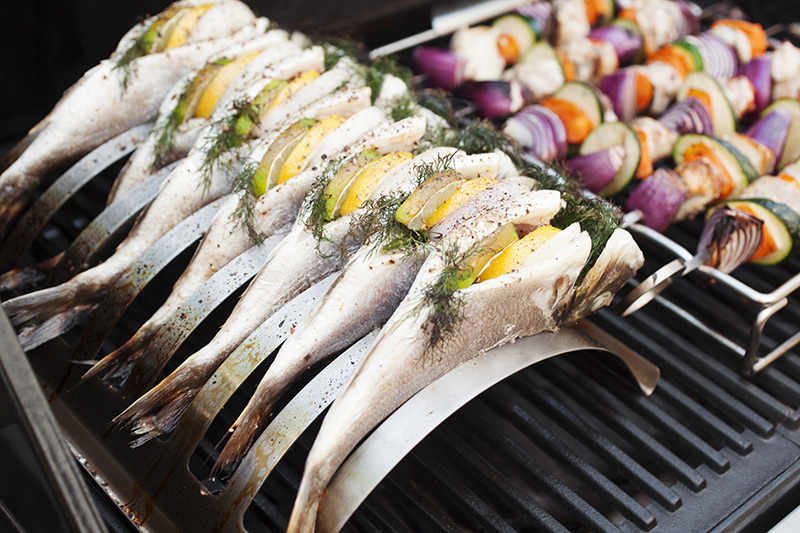 Serving fish doesn’t have to be daunting or challenging either when it comes to cooking it on the barbie! In fact, with the right techniques and tools, fish can be enjoyed and quite easily prepared and cooked outdoors at any time of year. 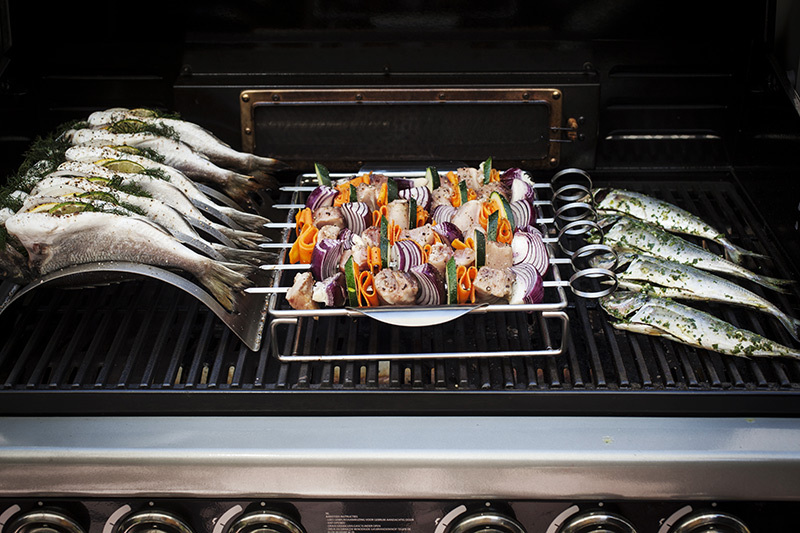 Using the BBQXL Multi Use Roaster and Kebab Rack allows you to create different fish dishes on the BBQ at the same time, not to mention a multitude of different dishes as well, such a full roasts and ribs. 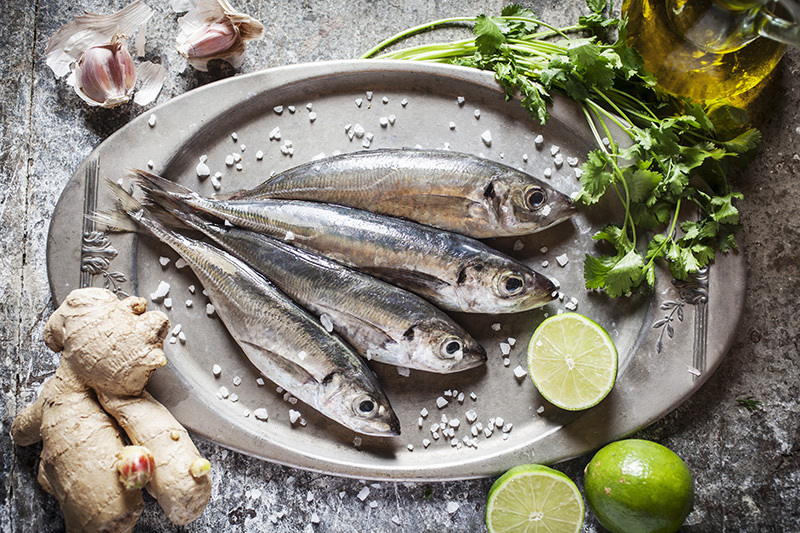 Small fish such as pilchards, sardines, herrings and sprats are extremely high in B vitamins, vitamin D, niacin, essential minerals such as calcium, phosphorous, potassium and selenium as well as a huge concentration of marine Omega-3 fatty acids. These types of fish are in fact those with the most beneficial properties and should take a large role in our weekly diets. They are also simple to clean and their small size makes for quick marinating and grilling. 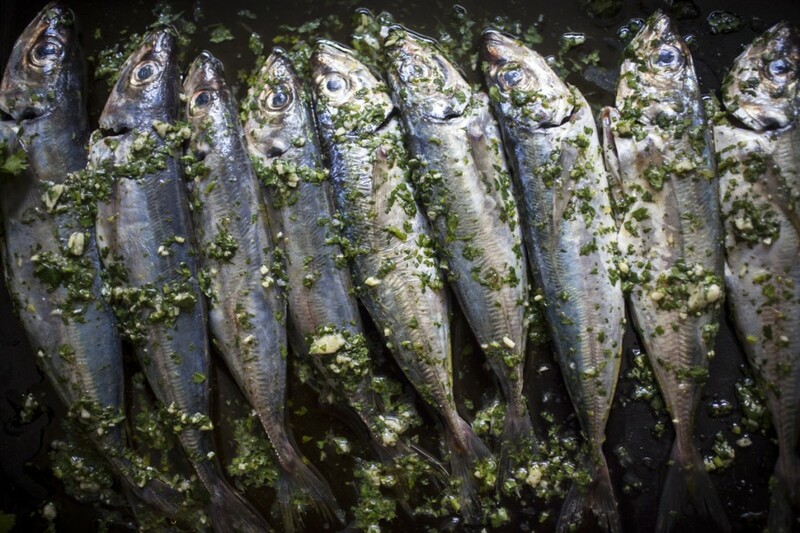 Fresh sardines are easy to clean and quick to prepare. Be sure to buy the freshest fish possible. The clarity of the eyes and the lack of a “fishy” smell indicates freshness. The BBQXL Bamboo Chopping Board and Stainless Steel Tray is ideal for bringing anything marinated to and from the BBQ. Click on the image to view it in further detail. 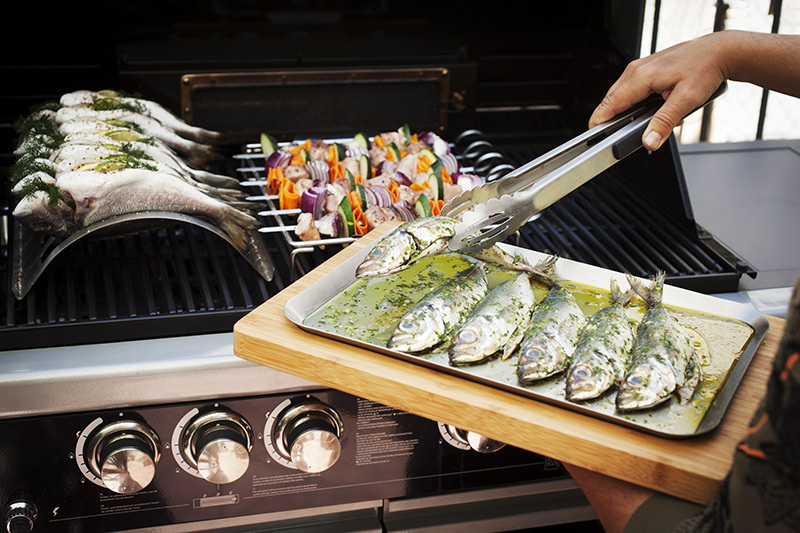 When grilling them directly on the grill or hotplate (without the use of a fish basket) be sure to use a good amount of extra virgin olive oil when seasoning or marinating them and to oil the grill or hotplate well beforehand. It’s also important to make sure that your grill is very hot as this will sear the skin of the fish before allowing it to stick, ensuring that the fish can be easily removed from the BBQ whole instead of breaking up. 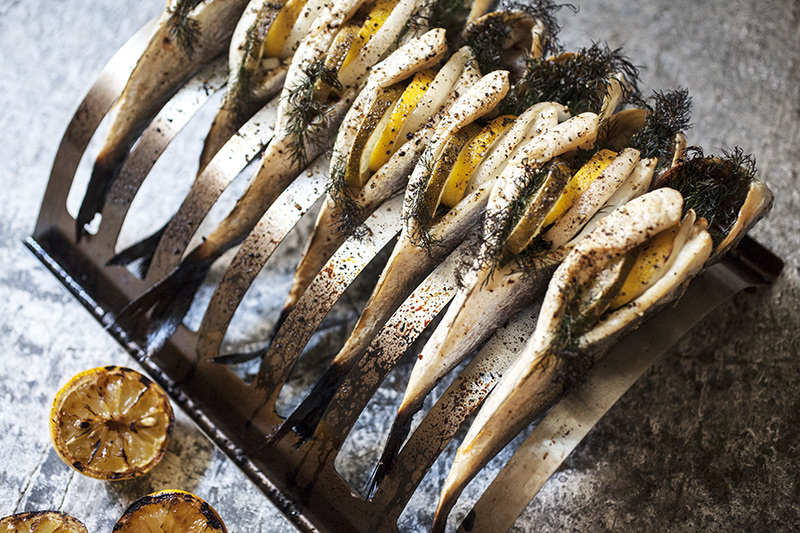 When your fish is grilled to perfection be sure to serve it with fresh or grilled lemon or lime on the side. Medium sized predatory fish like sea bream, squirefish and snappers are similar to smaller fish and are also rich in many of the same nutrients as well as being abundant in omega-3 fatty acids which are of course all beneficial to one’s health. Without stating the obvious, all fish are an excellent source of protein. 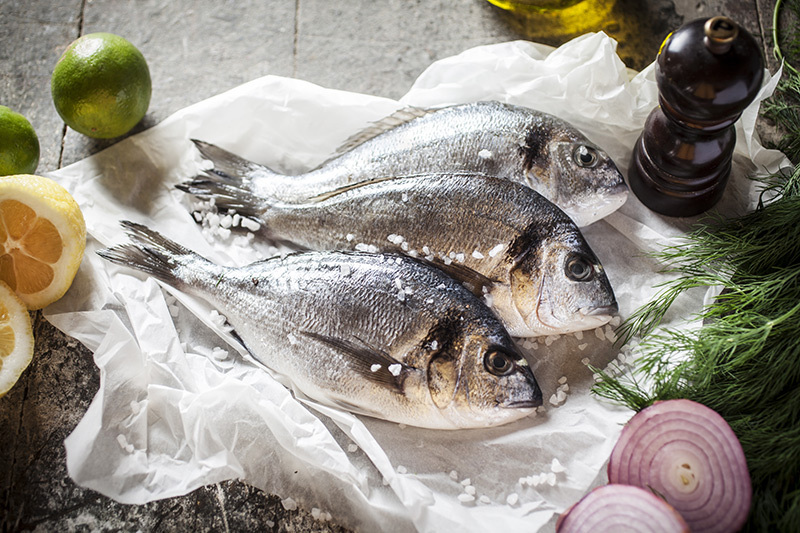 Fresh sea bream that will be stuffed with a selection of herbs and aromatic fruits and vegetables. 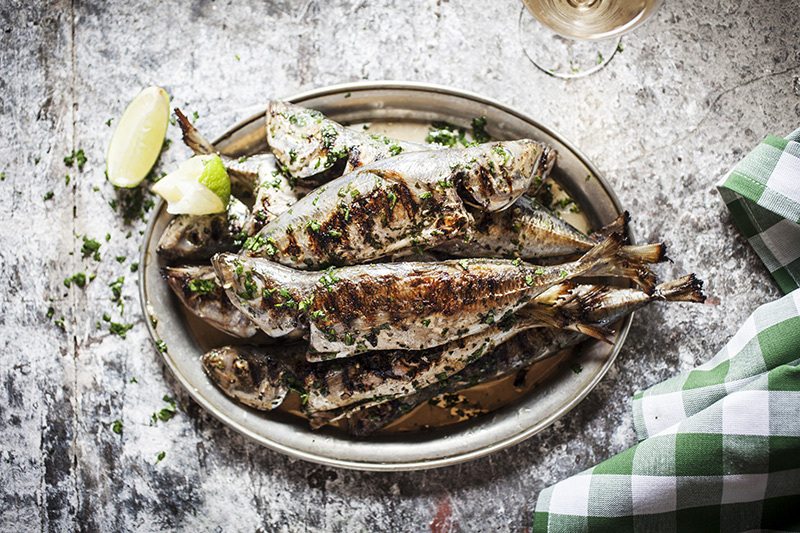 Medium to large sized fish have many of the same nutritional benefits as small fish however, they offer a unique opportunity when cooking them on the barbie. The cavity of the fish can be stuffed with a wide range of herbs, spices and aromatic fruits and vegetables. This of course, combined with marinating, dry rubbing or seasoning adds extra flavour to the fish while it’s cooking however, does not make it so easy to cook directly on the grill. Traditionally, fish that have been stuffed would have been wrapped in leaves. 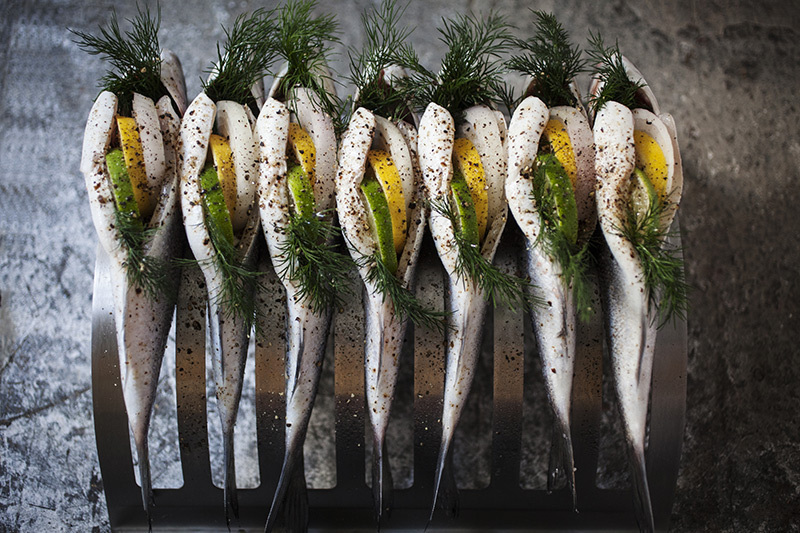 Today’s culinary methods include wrapping them in tin foil or cooking them in a fish basket. This usually limits how many fish can be cooked at one time however, I’ve devised a great way to cook a medium sized fish using a rib rack that makes the results worth the effort. As the natural juices from the fish run down the sides and back of the fish during the grilling process, the back remains constantly moist and doesn’t burn. The sides and bellies benefit from good heat and soak up lots of flavour as the juices steam back upwards from the flames below. A major plus of this method is that the fish don’t stick to the rack. When picking fish suitable to use in a rib rack such as BBQXL’s featured here, be sure to pick ones that are slightly larger than the openings as they will shrink while cooking. The rib rack allows the fish to cook evenly and absorb all the great barbecue flavours one hopes for from the grill. Not only that but it stops the dreaded sticking that’s so typical with cooking fish on the grill. When cooking a fish in this manner, stuffing it with your favourite herbs and aromatic fruits and veggies is a great way to impart a subtle flavour. Use things like dill, lime, lemon, onion and garlic or any of your favourites. There are certain fish that have a thick, firm flesh that doesn’t flake readily when cooked. Examples would include bonito, albacore tuna and swordfish. Bonito, often referred to as bonito tuna is in fact not a tuna at all. That being said however, it has a thick flesh that is ideal for making kebabs! 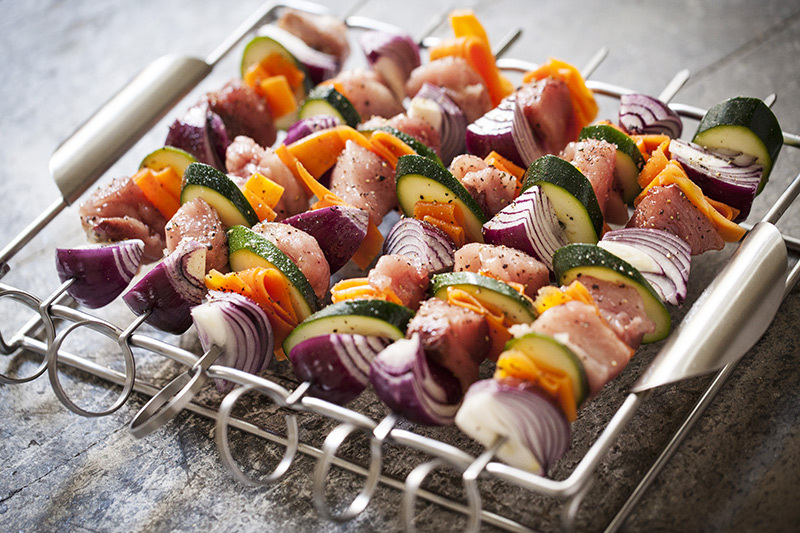 Because the flesh doesn’t break apart when cooked it makes them ideal for marinating and skewering with vegetables; turning them into delicious kebabs. 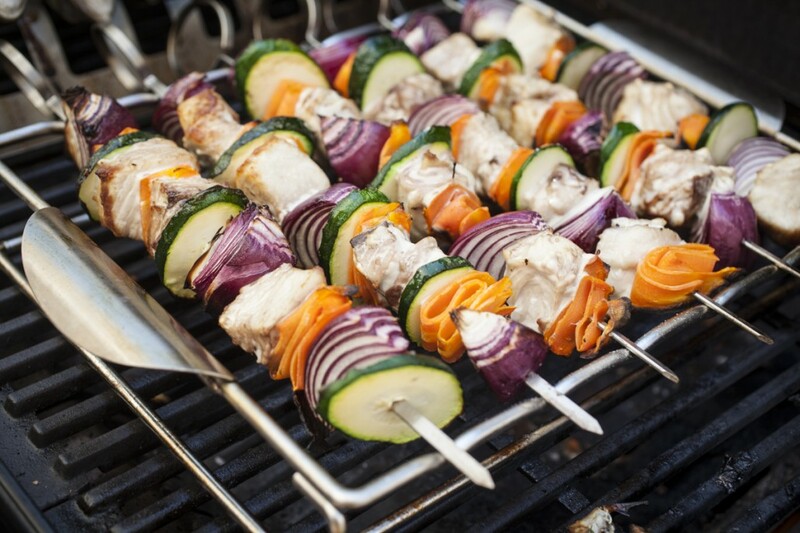 Skewers are ideal for an easy meal as the proteins and the vegetables all cook together, all you need is a side dish. 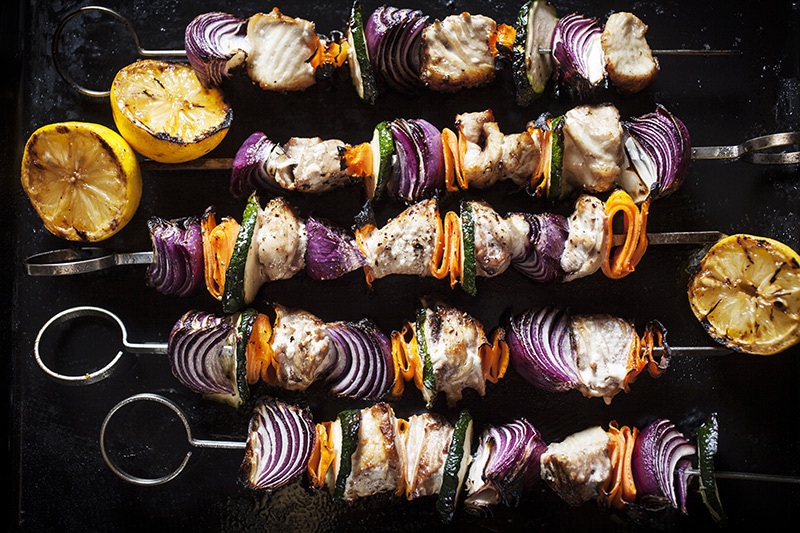 As with any kebabs, the choice of marinades are virtually endless, allowing you to select your preferred flavours from those offered around the globe. 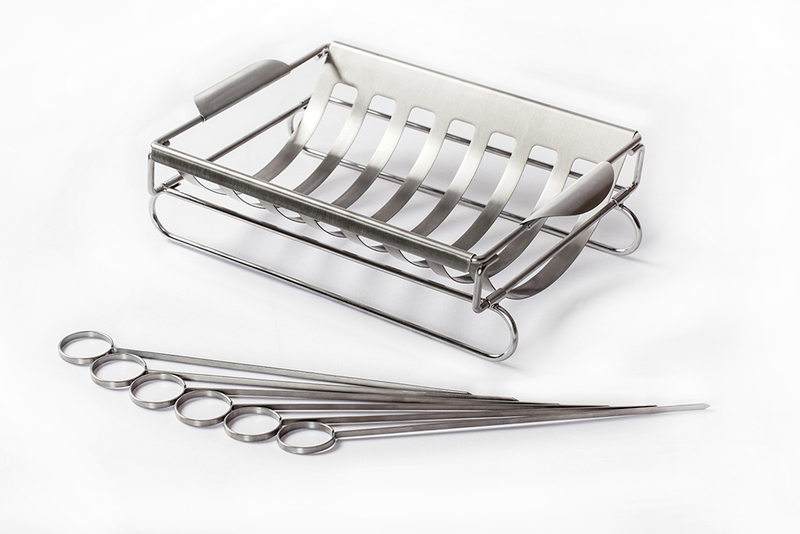 he BBQXL Multi Use Roaster and Kebab Rack is great for making kebabs of any kind. 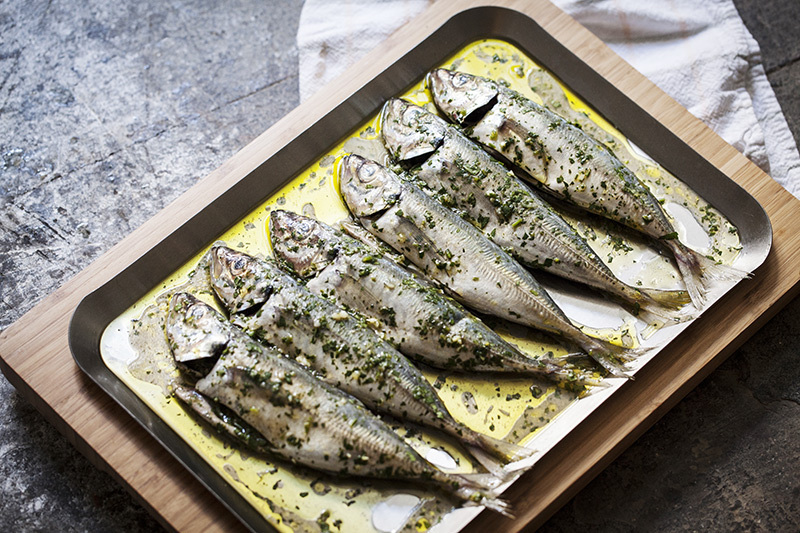 Don’t overdo the heat when cooking fish without it’s skin as you don’t want to dry it out! When done, lightly drizzle with olive oil, sea salt and pepper. Perfection! Bear in mind that while consuming fish is a healthy way of eating, caution should be taken when eating larger species of fish, namely predatory fish such as shark (flake), marlin or swordfish. The higher-up the food chain that a fish inhabits results in a higher level of mercury contained in that fish. 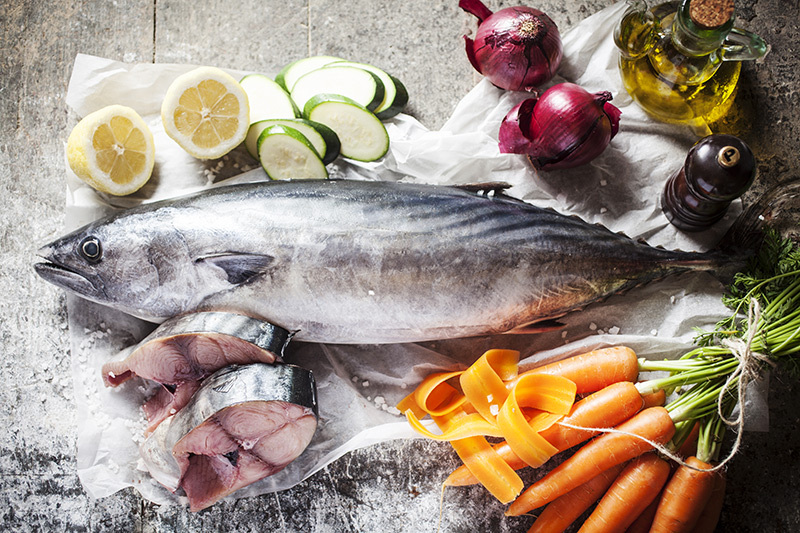 For more information on nutritional benefits, cautions and recommended guidelines visit http://foodwatch.com.au and type fish and omega-3 into the search field or http://www.foodauthority.nsw.gov.au/ and type in fish and mercury into the search field. 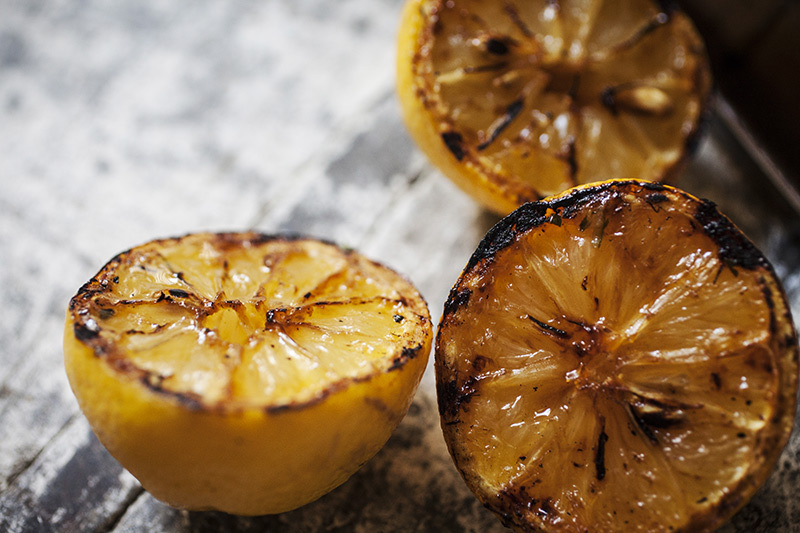 Lemon halves (or any sour citrus fruit for that matter) grilled over the flame not only tames their tartness but enhances their natural sugars, making them a perfect accompaniment to any grilled fish dish. Click on the image for more details about the BBQXL Multi Use Roaster and Kebab Rack and where to order one for yourself.